Happy Style-Sunday! I'm not a big fan of fashion trends. If, however, I discover how they sync with my style ingredients, I wouldn't mind giving them a go. How about you? 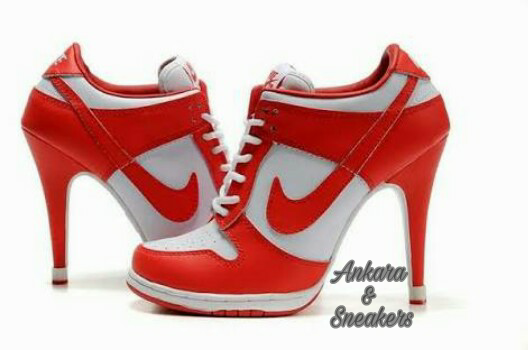 Sneakers are one of the most versatile things to incorporate in your wardrobe. Is there anything you can't wear with them!? You can wear sneakers on a little skirt, a shirt dress, a maxi skirt with slits, and you can even wear sneakers on a wedding gown! I love sneakers. And I love Ankara fabrics. Being able to put these together in one outfit feels almost like a dream come true. I am excited about this trend. 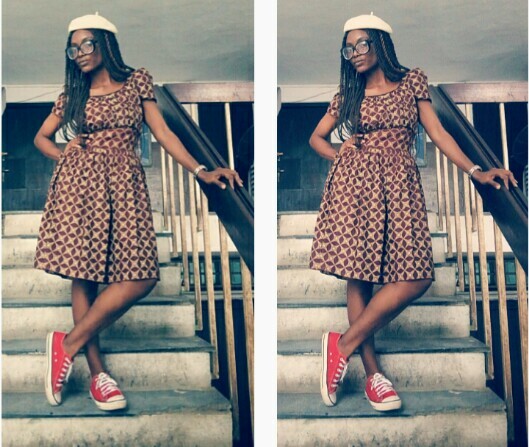 Ankara and sneakers is not exactly a new trend, but since there are no rules and boundaries when it comes to styling . . . You can style it anyhow and any way you like. 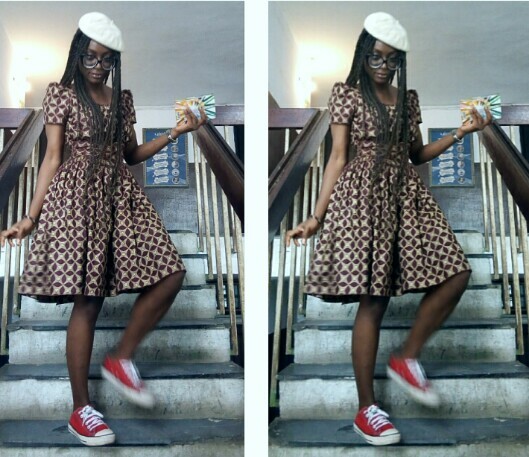 And no matter the Ankara style - whether it's a feminine jacket or a simple dress, when you rock it with a pair of sneakers you are sure to earn major style points for your creativity. Need I mention that these sneakers were gifted to me by the same Johnero. Yeah. I "bragged" about it HERE. Wearing this to church made eyes roll and heads turn. You should rock it too. It's interesting how the red sneakers brought to light again, That Red Popping Effect. Isn't she glowing!? 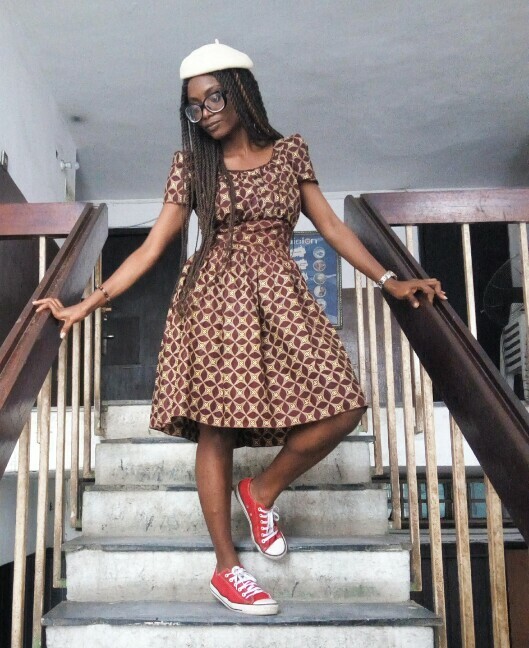 Another thing I like about rocking Ankara and sneakers is the fact that you will be hailed for your creative ingenuity, hence you’ll give the impression that you are up to date with your style. So, will you join us or what? 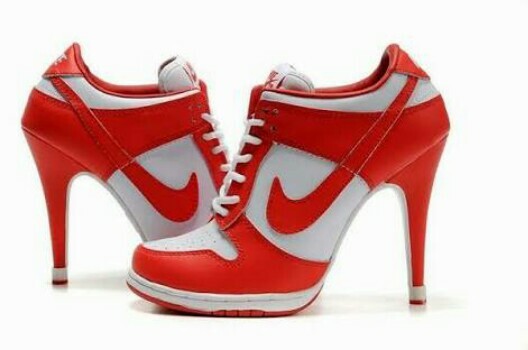 Meanwhile, I'm fantasizing over these sneakers with heels. Oh, Lord . . .